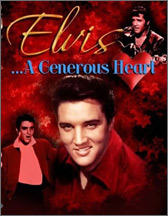 This special examines the wonderful legacy and generosity of the King. Through his music, live performances, and his films, Elvis brought joy to millions of people around the world. But for all his accomplishments as an entertainer perhaps his greatest legacy was his enormous generosity.